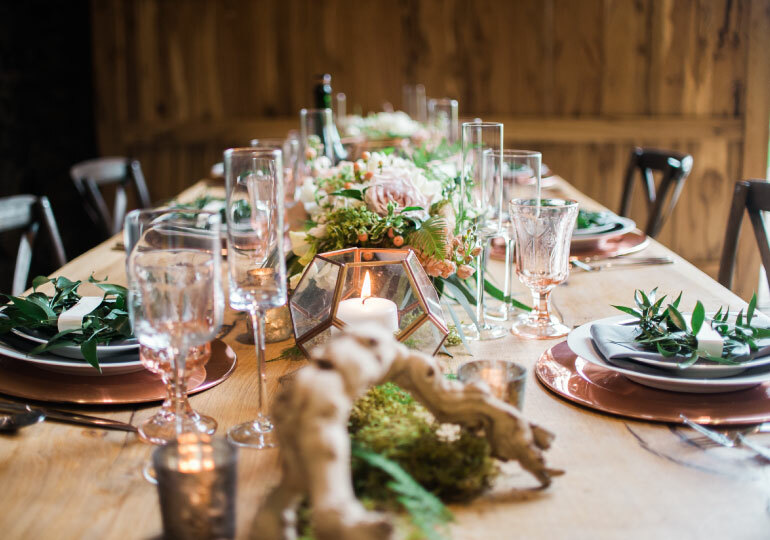 The team behind Oregon’s CK Wedding & Event Design can lay up a spread to make Martha Stewart jealous. Known for their super friendly and personalized approach, Chelsea Forcum and Kayla McCaul have made many a big day a beautiful breeze for happy couples. They’re also a great choice for just about any event. 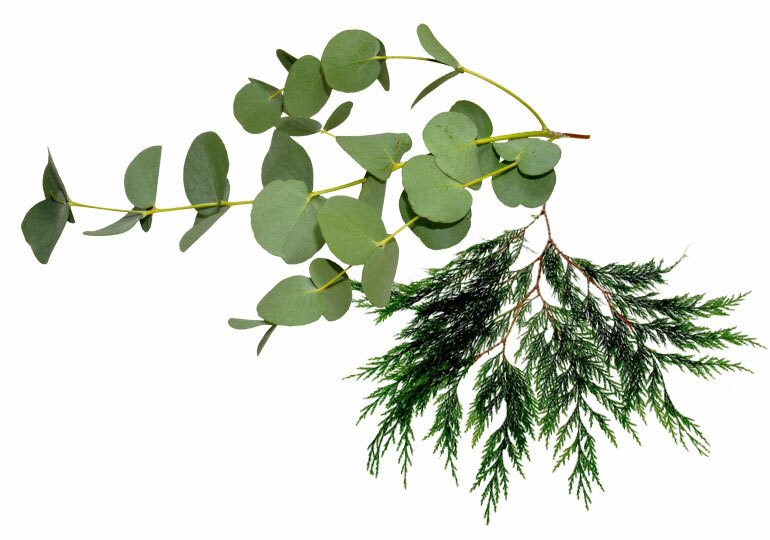 We sat down with Forcum and McCaul to get some holiday table DIY dos and don’ts. Based in Kansas City, Mo., calligraphy artist Emily Wimer hand-letters these place cards. Custom order names or a fun phrase to really personalize your event. Find her on etsy.com or at foxcroftcourt.com, starting at $8. Focus on what you’re good at. Have a personal passion for calligraphy? Not many folks do these days. Pinterest and Instagram have many of us believing with a bit of focus and the right materials we can decorate a cake or design a complicated floral arrangement. Save yourself the time and frustration, and do what you do well as the focus point. Wooden candle holders are elegant but understated. 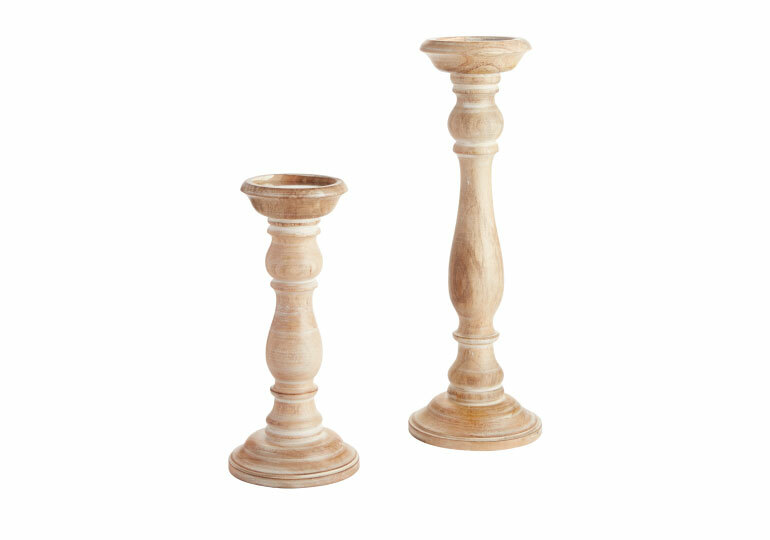 Candleholders similar to these can be found at overstock.com in singles and sets. Schedule, schedule, schedule. You’re the host. You’ve got food to make, a house to clean, kids to herd — even a small dinner party can benefit from a bit of planning. It will save you from rushing around at the last minute. This is especially true at the holidays when shops are busy and inventory runs low. McCaul recommends the following planning guideline: Four weeks out: set your menu, choose your “theme” and send out your invites. Three weeks out, stock your nonperishable items and purchase or rent any needed tableware, settings or decor pieces. Two weeks out, finalize your head count, order your flowers and make any adjustments based on the size your party will ultimately be. One week out, order dessert or other food items you won’t be preparing yourself, map out your food preparation plan and seating chart, and get a jump-start on any housecleaning. In the final days make any food that can be done in advance of your big day, decorate and get your music playlist together! 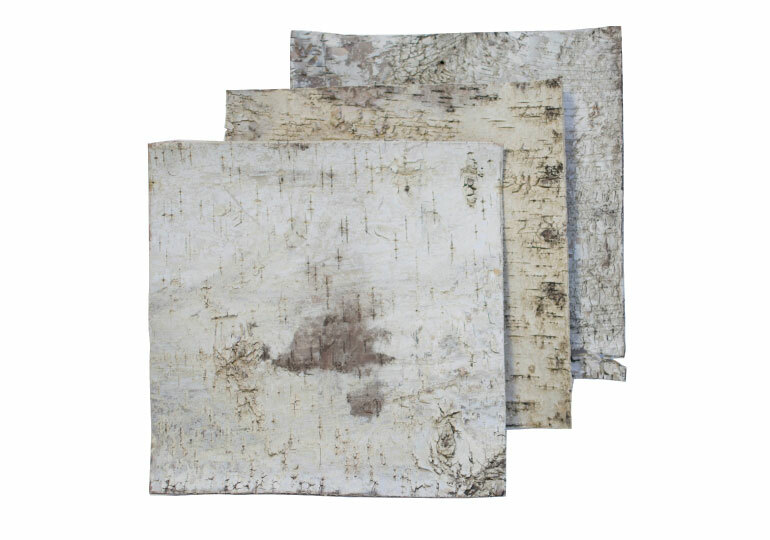 These wooden sheets of birchwood bark make great placemats or you can soak them in water and curl them into glass vases for your centerpiece. Find them at lightsforalloccasions.com, $13.25 for a set of six. Do a trial run. If you’re doing something new, try it out in advance. If this is a special dinner, it’s better not to feel disappointed by having to scrap your idea at the last minute. Use what you have. Resources for a beautiful table are probably already in your home or around your yard. The holidays are a great time to go natural. Flowers aren’t the only centerpiece. Complicated floral arrangements take real skill and more elements than you would imagine. If you really want a big arrangement, take some pictures of what you like down to your local florist. Natural fibers like burlap and jute are inexpensive and easy to find. Fill them with a delightfully different treat like Quin’s Oregon cherry sparkling candy to keep with the holiday magic. 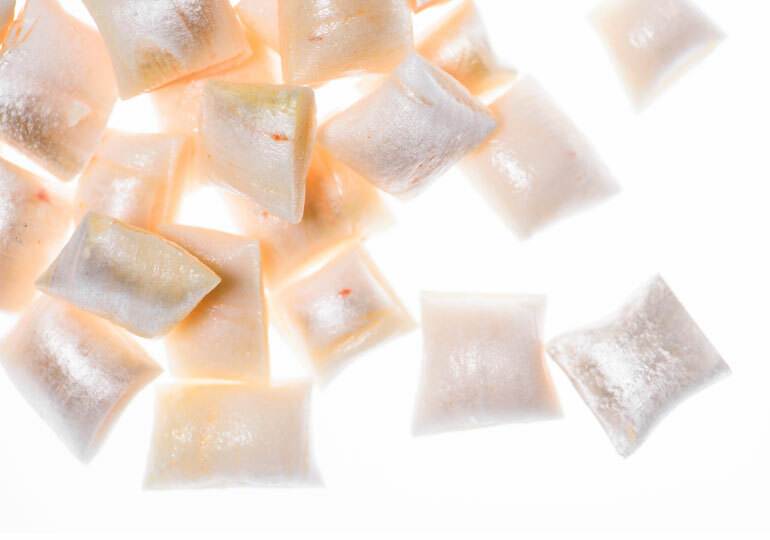 quincandy.com, $8.50 per bag. Know your audience. It’s nice to get the kids’ involved, but if this is a sophisticated adult dinner, you may want to consider rolling with this one on your own. On the other hand, your kids creativity could really make for an excellent family holiday table. Less is more. When designing your table, take into account it will be viewed on the backdrop of your home decor. Choose some key focus elements to keep it from feeling overboard. “Terrariums and faceted shapes are very fresh right now,” explains Senff. 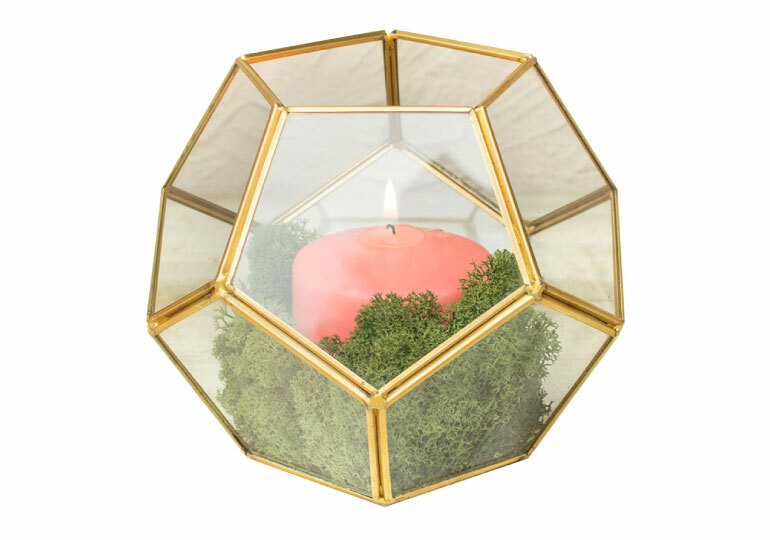 “The warm metal edging blends with the other warm metallic elements in the design.” Shown here is the geometric terrarium from lightsforalloccasions.com, starting at $24.95. Adding a plate charger will incorporate your theme while allowing you to still use your best china. Don’t have special-occasion china? The charger will even elevate your everyday set and is less expensive than buying something new. 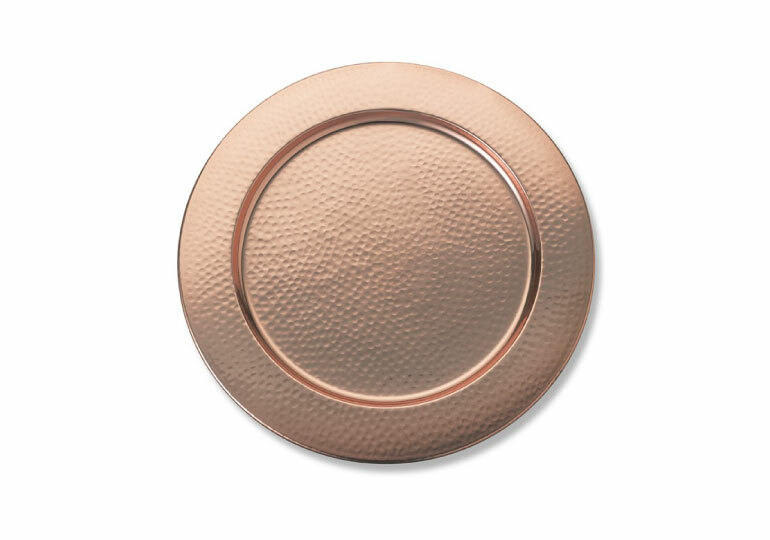 Add this luxe look with Williams-Sonoma hammered copper charger, williams-sonoma.com, $24.95. If the holidays are a time you find stressful, then leave some of the details to the pros. 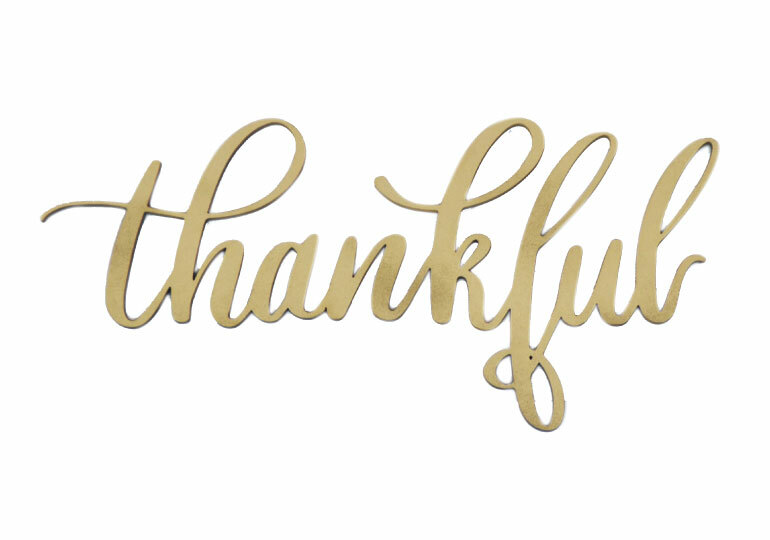 It’s much easier to enjoy your family and friends and the event you’re hosting when you know things are in good hands. The CK team is composed of three native Oregonians. Chelsea Forcum and Kayla McCaul met just as they were finishing high school. A few short weeks later they were best of friends and roommates. Over a decade later they make it a priority to keep up their friendship while maintaining a successful business partnership. Forcum describes herself as someone always planning her next big event and was a wedding enthusiast from a young age­­­­­­subscribing to bridal mags from the time she was in elementary school. Forcum introduced McCaul to the wedding industry and it was a perfect fit for her entrepreneuring spirit. With business going well, they recently brought on Valerie Senff as their lead designer.